Last week, my co-worker came to me, as the resident office gardener, with a puzzled look. She had received the latest share of her CSA (community supported agriculture – sign up to buy shares of a farm’s seasonal crops, and you get a box of fresh goodies every week or two), and this week her CSA box contained a weird green vegetable that she didn’t recognize. She described the unusual piece of produce: It’s pale green, looks kind of like a turnip with little leaves coming out of the top. The leaves looked kind of like parsley. The vegetable was round, smooth, about the size of a baseball. Doesn’t really smell like anything. What could it be? I’m the first to admit that I had no idea what she was talking about. 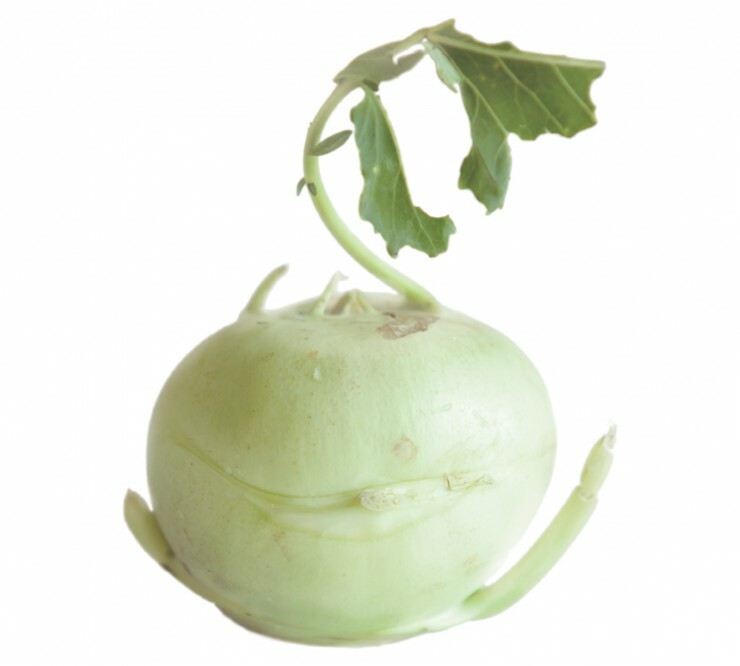 But upon some Sherlock-style sleuthing (OK, a google image search), we figured it out: kohlrabi. What is Kohlrabi (and How Do I Use It)? Our investigation wasn’t solved just yet. We knew what it was, but what exactly do you do with kohlrabi? So, I emailed my gardening guru mom, and sure enough, she grows kohlrabi. She informed us that kohlrabi belongs to the Brassica family, which also includes cabbage and kale. There’s also a purple variety. Sure enough, you can puree kohlrabi, fry it up into fritters or turn it into a soup (recipe courtesy of the aforementioned CSA). See Also: What Is Ethanol and Its Connection to Corn? That weekend, my mom gave me a couple of kohlrabi, which I tried both raw – the consistency of an apple but the flavor of, well, a very bland apple or non-peppery radish – and cooked in a vegetable stir-fry. Despite its odd appearance, kohlrabi is rather versatile, and like many other late spring veggies, very nutrient rich – filled with vitamin C, dietary fiber and potassium, and low in calories, fat and cholesterol. So next time you’re at the farmers market and you happen upon this weird green vegetable, give it a try. 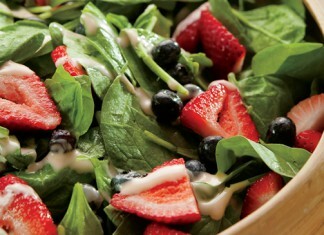 Like mother, like daughter – I think it’s best when sprinkled in a salad topped with homemade balsamic vinaigrette. How do you like your kohlrabi? Have you come across any other vegetables in your CSA or at the farmers market that you can’t identify – or don’t know how to use in the kitchen? Leave us a comment, or send us a note. We love hearing from you! i’ve had kohlrabi in a few different ways…sliced up really thin and topped with a little olive oil, salt and pepper…also shredded into a broccoli salad (with walnuts and cheese and a balsamic dressing…and i plan on shredding it and making it into some kimchi with other veggies!